This article was originally published in the ATA paper newsletter, Tapestry Topics, winter 1997, volume XIII, issue 4. Reprinted with permission from the American Tapestry Alliance. Photos of related textile books added by the author. Archie Brennan lead off with "Analyzing Tapestry Part 1: the Early Roles." He spoke of how 1500 years before Columbus there exists little evidence of tapestry as wall hangings. Rather, we see tapestry as a burial shroud, a unit of currency, a status symbol, a token of enforced citizenship, or as a seal of cease-fire. We see tapestry made to be burned in sacrificial ceremony, as gloves, boots, headbands, masks over mummified heads; as heraldic uniform and self-serving aggrandizement. We see tapestry as upholstery and floor coverings or as wall paper. We also see tapestry as religious record and as a social document. Janet Moore followed with her talk, “Drawing on History,” examining the Bayeaux Tapestry. She had wrapped the four walls of the room with a half-sized color photocopy of the “tapestry,” which gave us the feel for the scale of this embroidered textile. She narrated the story of the conquest of England by William the Conqueror as illustrated scene-by-scene. In so doing, we also examined the narrative role of tapestry and the elements of propaganda. We were invited to construct a new ending for the tapestry and to think about how that would have influenced the course of events and subsequently altered our present life. 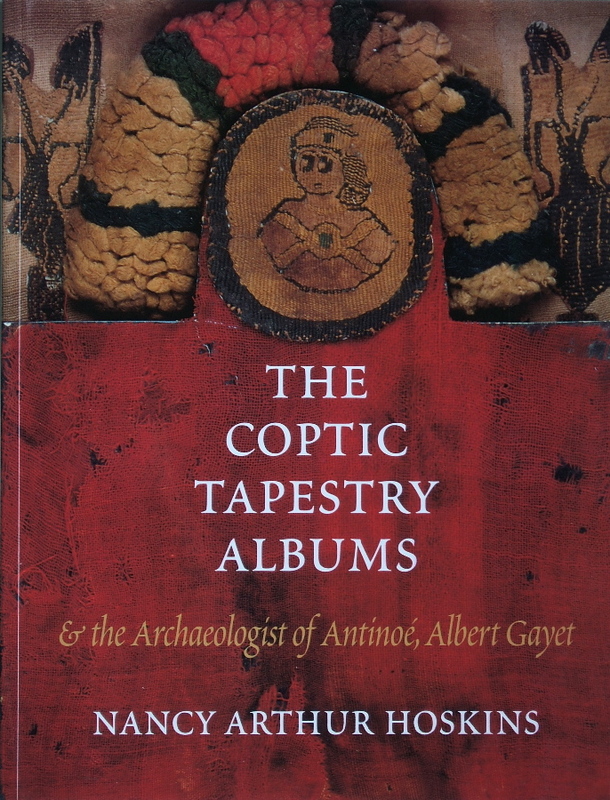 Nancy Arthur Hoskins focused our attention on the “Tapestries of Coptic Egypt” giving us a small taste of her extensive research. Dating from 2nd – 7th century A.D. these fabrics of tabby/tapestry end of the taquette/tapestry weave structure depicted intricate scenes, portraits, geometric motifs, birds, fish, baskets, fruits, flowers and religious symbols. In addition to slides, Nancy brought textile fragments from her collection. What a treat it was to examine via magnifying glass their quality and technique. Susan Martin Maffei introduced us to “Huari Textiles from Pre-Columbian Peru,” a culture that existed 1,000 years before the Inca and heavily influenced them. Textile production played a central role in Huari society where everyone participated in spinning yarn and weaving tapestry through out their entire lives, beginning as small children. Textiles were not only used to designate social status, but were the form of currency as well. We find as many as 58 layers of wrappings around embalmed dead. The tapestry was of exquisite quality, with warp sett at about 30 epi, weft beats at about 110 picks per inch to create repeated motifs and highly sophisticated, abstracted imagery. Mark Adams invited us to take a closer look at Italian tapestry in I Mesi (the Months) commissioned by Gian Giacomo in 1440 – 1518. We saw scenes appropriate for each month, depicting the planting, cultivating and harvesting of crops. The faces and figures had a very human-like quality, sensitively drawn from life. We saw realistic depiction to be more the feel of something, thus making it more real; where one can sense the intensity of the heat or the effects of the wine. Mary Rawcliffe Colton followed with a dynamic overview of “Four New Mexican Textile Traditions: Interactions and Influences.” She described the history and showed the complexity of interactions of the Anasazi, Pueblo, Navajo and Hispanic cultures and their textile traditions. We saw their influences on, as well as the independent diversity of, contemporary New Mexican tapestry artists, myself included. Jean Pierre Larochette and Yael Lurie presented “Monsieur Cassagnades’ Vision,” giving a view of the parallels and divergences of two monumental French tapestries: Apocalypse of Angers and Jean Lurçat’s Song of the World. We also examined the synchronization of image and technique in the woven execution of a hand or a leaf in the Apocalyse tapestries, a synchronization that was missing in the Song of the World. I left the seminar with much to think about and celebrate. I feel as Archie about “needing to weave tapestry every day. If I cannot, then something is not quite right.” I came away utterly filled with the sense of tremendous diversity inherit in our tapestry heritage. The “Anatomy of Tapestry” seminar fed a hunger I have had for a cultural and historical examination of the many facets of our tapestry traditions.